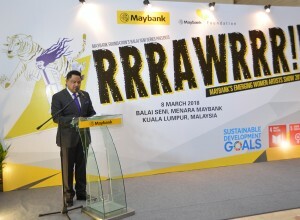 8 March 2019, Maybank celebrated International Women’s Day 2019 with the launch of ‘RRRWARRR!!! 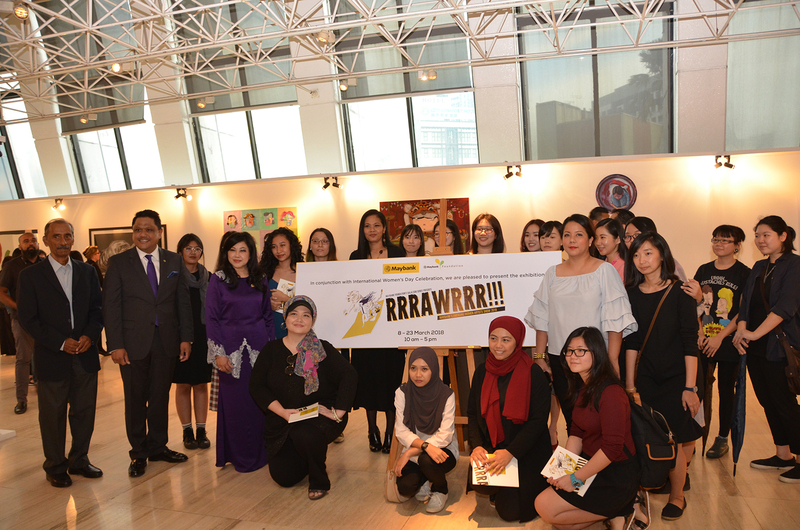 : Maybank’s Emerging Women Artists Show 2019’ art exhibition. The exhibition fields 34 emerging and aspiring women artists from all over the country, showcasing their artworks in efforts to raise awareness on the sacrifices, achievements and contributions by women. Running for the second consecutive year, the exhibition carries the global movement theme of #BalanceforBetter and continues to showcase artworks of various forms, dimensions and mediums. 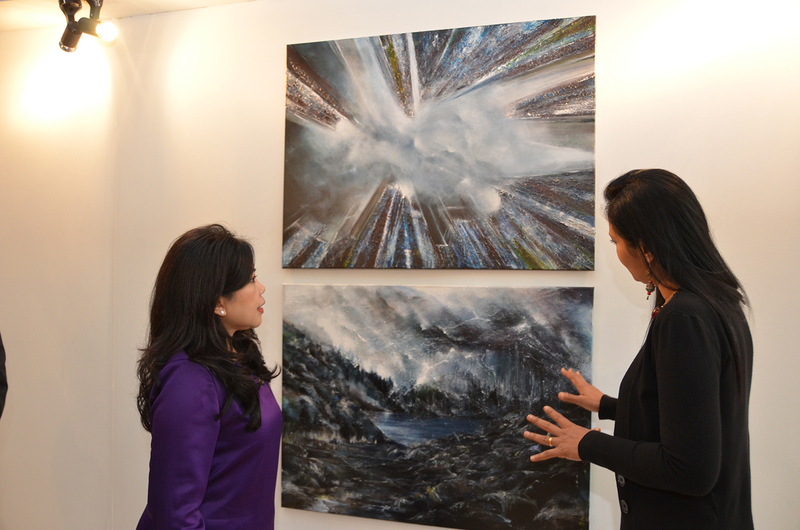 The artworks on display are up for sale with 20% of the proceeds to be channelled to various charitable organisations by the participating women artists. 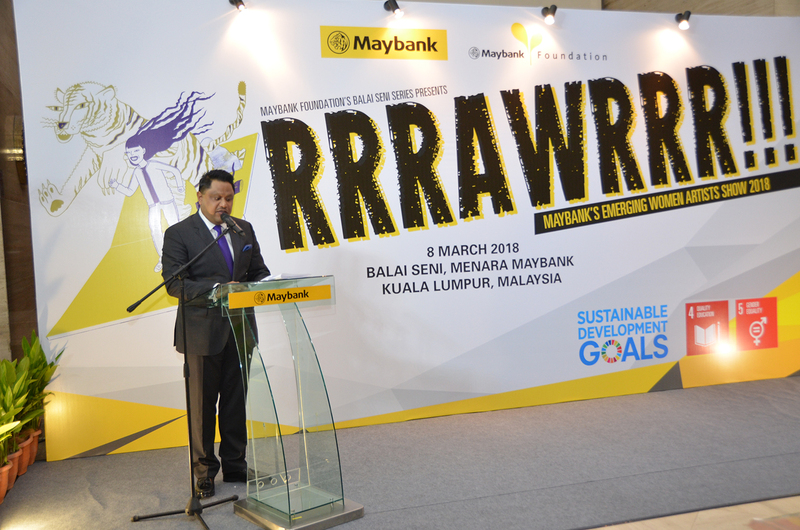 Chairman of Maybank and Maybank Foundation, Datuk Mohaiyani Shamsudin alongside Dato’ V. Danapalan, member of the Board of Trustees of Maybank Foundation, Nora Manaf, Group Chief Human Capital Officer of Maybank and Shahril Azuar Jimin, CEO of Maybank Foundation launched the ‘RRRWARRR!!! 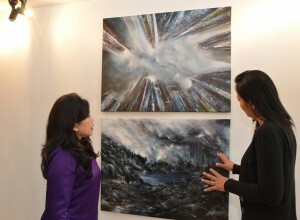 : Maybank’s Emerging Women Artists Show 2019’ art exhibition. “The exhibition is aimed at raising awareness amongst the general public to respect and appreciate the role of women in every aspect of the society. 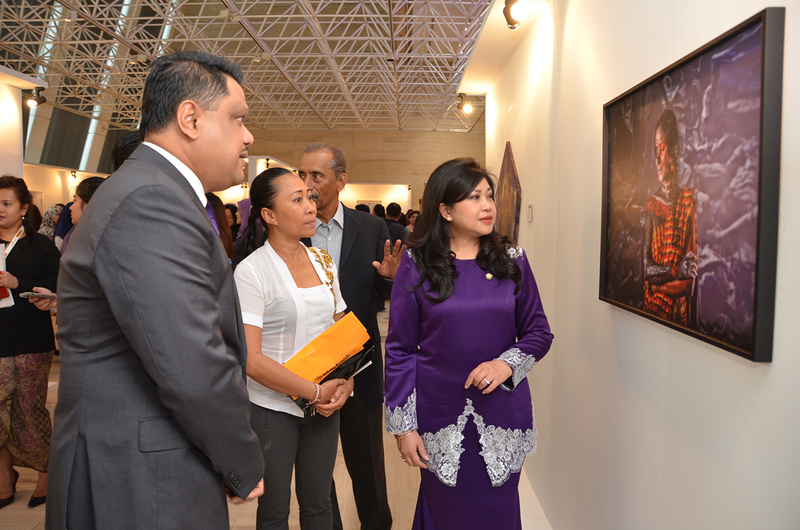 We are extremely honoured to be in the presence of powerful individuals who have come forward to express their views through amazing work of art depicting the daily lives of women,” said Shahril. 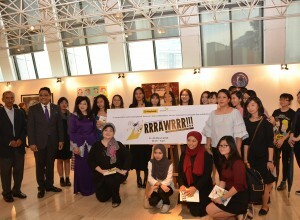 In conjunction with International Women’s Day 2019, Maybank also hosted a slew of other programmes in support of women leadership in the workforce and entrepreneurship. Earlier in the day, a dialogue session headlined by Dr. Ayesha Khanna, CEO of ADDO AI, an expert in Artificial Intelligence & Fintech and Nora Manaf was held. The discourse highlighted the advancement of women in the future workplace and discussed challenges as well as opportunities in a highly automated operating environment. 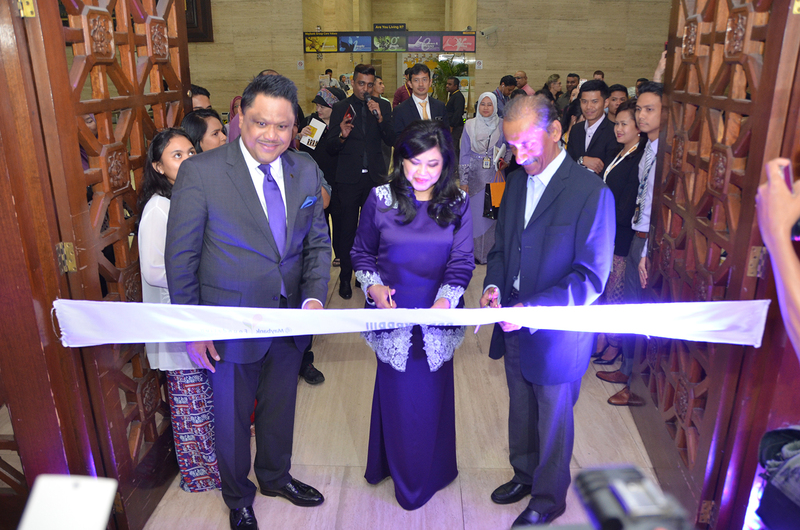 A ‘Women Empowerment Bazaar’ was also hosted at the concourse area of Menara Maybank from 6-8 March 2019 to enable new and upcoming women entrepreneurs promote their products and services - ranging from food & beverages, health products as well as women’s accessories. The ‘RRRWARRR!!! 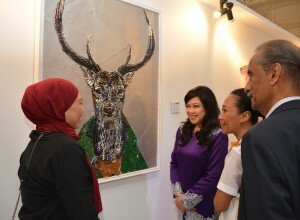 : Maybank’s Emerging Women Artists Show 2019’ exhibition is the first exhibition in Maybank Foundation’s Balai Seni Arts Series 2019, and was run from 8-23 March 2019 and is open to public from 10am to 5pm (Monday-Friday) and 11am to 4pm (Saturday). 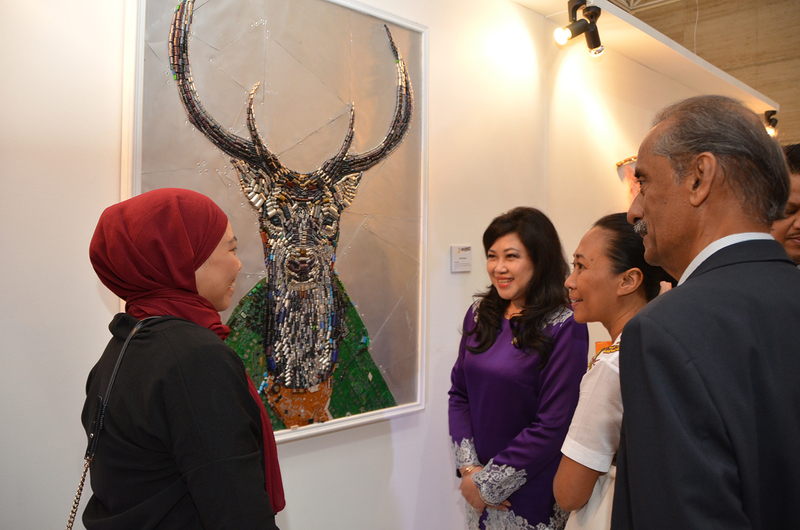 Admission to Balai Seni Maybank which is on the first floor of Menara Maybank, is free.